Welcome to our Java Virtual Machine Error codes website. This JVM oriented website was started simply out of the need of fixing my BlackBerry smarthpone one day. Luckily for me I had the required technical skills to get the job done, unlucky for me, it took a lot more than expected. Why the need to start a website on JVM Errors ? Believe it or not, I was also like you guys at one point – my BlackBerry cellphone bricked showing up a “jvm error” mumbo-jumbo error code dump on my home screen and I was clueless. I didn’t know what happened, why or how I could solve this problem. I started searching online for a solution, unfortunately searches for terms such as “jvm error blackberry” or “jvm error help” didn’t return too many actual solutions. I found threads and places were people were also complaining of getting the same error codes, but no viable solution was offered. I was going really crazy trying to get to the bottom of my problem – 6 hours had passed and I was still trying to fix my cellphone. I’ve read more than 200 (two hundread) threads, read over 20(twenty) forum pages and watched about 10 videos on YouTube on how to fix my smartphone problems. Finally, I stumbled upon a piece of information that lead me into the right direction and I was able to fix my Blackberry. Knowing that I’m not the only one that encountered this particular problem, I started thinking of creating a website on the subject and helping others fix their cellphones as well. How will this website help me ? On this website you will be able to find all the necessary information and tools on how to fix the most popular Blackberry jvm errors. 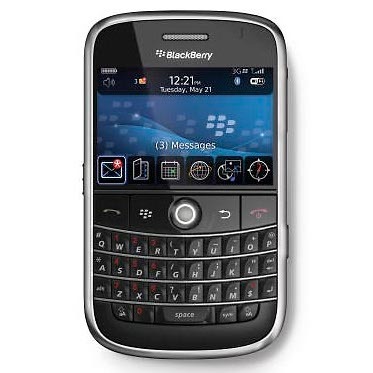 Currently, the website covers the six most popular errors that one might encounter on his or her Blackberry. The purpose of this welcome page – although most of my visitors arrive directly on the pages of interest, in this case, the actual solution for their errors – is to get ourselves acquainted and learn that this website is quite honestly, legit. I’ve seen many websites such as this one where webmasters were asking their users to donate money or buy expensive tools, fooling them for a profit. Presumably you know how to use a contact form, but if you don’t know – it is as simple as sending an email. If that sounds strange to you as well, but still want to send us your thoughts and/or ideas, just perform a search on Google on “how to email someone” and you will eventually figure it out. Why is this website using ads ? If you have arrived on this website directly to the homepage, there are a couple of options avaialble, depending on your needs. You can either visit the left sidebar of this website and hope we have covered in an article the issue at hand and if not you can contact us using the contact page at the bottom of the website. If you have simply arrived here without a special intention, feel free to browse around, recommend this website to a friend or bookmark us (CTRL + D on your keyboard to get that done). After you have finished downloading all of these files, just follow the instructions that came along.